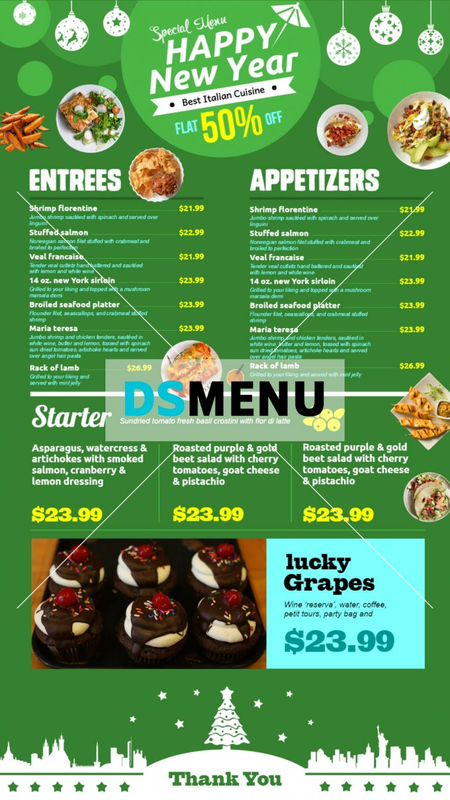 Solid background color with text and food images inside boxes sets up a nice fast food restaurant menu. The background makes the fonts and graphics prominent on the menu board. The menu board is ready for edit and download.